[Free Pattern] This Crocheted Pin Cushion Is Way Too Cute! Make a cute pair of block stitch baby booties with a creative design and use of color. 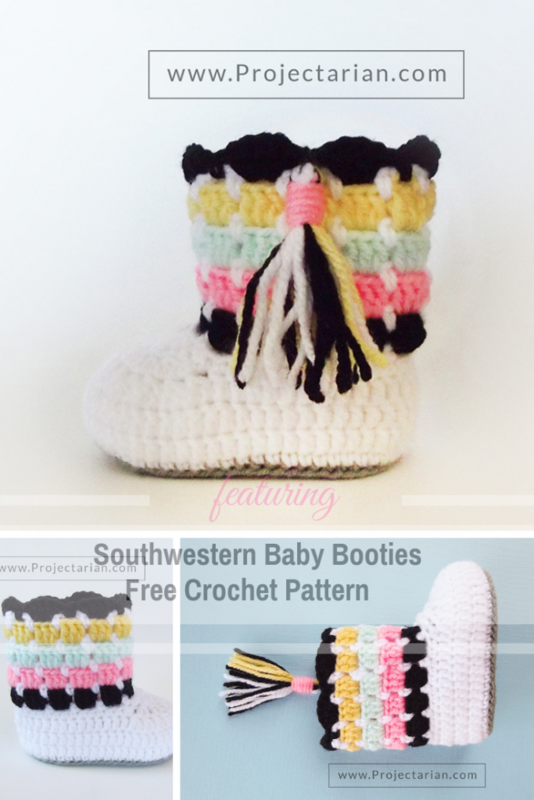 Southwestern Booties free crochet pattern by Projectarian is designed for babies 3-6 months and makes great baby shower gifts. This booties crochet pattern is easy and quick and includes a tutorial for making a tassel. Adorable No Seam Baby Booties- The Easiest Pattern Ever! Get the pattern: Block Stitch Baby Booties Free Crochet Pattern. Thanks to Projectarian for the article inspiration and featured image.